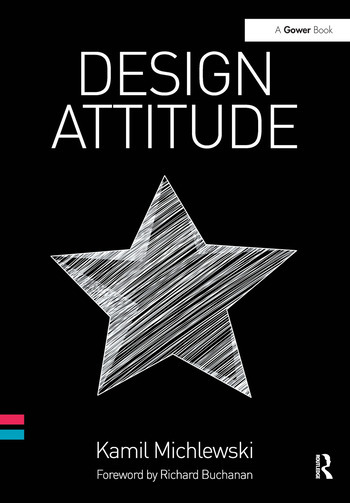 Design Attitude is a book for those who want to scratch beneath the surface and explore the impact design and designers have in organisations. It offers an alternative view on the sources of success and competitive advantage of companies such as Apple, where design plays a leading role. It sheds light on the cultural dynamics within organisations, where professional designers have a significant presence and influence. At its heart, the book asks a question: what is the nature of designers’ contribution that is truly unique to them as professionals? To answer this deceptively simple question the author combines a multitude of hours of ethnographic study inside the design community; in-depth interviews with executives and designers from Apple, IDEO, Wolff Olins, Philips Design, and Nissan Design; and a follow-up quantitative study. Since the author comes from a management and not a design background, the book offers a different perspective to most publications in the area of Design Thinking. It is a mirror held up to the community, rather than a voice from within. Design Attitude makes the compelling argument that looking at the type of the culture designers produce, rather than the type of processes or products they create, is potentially a more fruitful way of profiling the impact of design in organisations. With design being recognised as an important strategic framework by companies, not-for-profit organisations, and governments alike, this book is a distinct and timely contribution to the debate. Dr Kamil Michlewski was awarded a PhD by the School of Design at Northumbria University, having completed a programme supported by Oxford’s SaÃ¯d Business School. In his academic capacity he has published on the role of design and designers in organisational settings, tacit knowledge and aesthetics in organisational learning. He has presented at international conferences including the European Academy of Management, European Group for Organisational Studies, Design Management Institute and European Academy of Design. Dr Michlewski works at The Value Engineers - a strategic brand consultancy based in the UK. He advises a number of blue-chip clients on issues ranging from global consumer segmentation to brand strategy. Kamil previously worked as a senior strategy lecturer at Newcastle Business School.